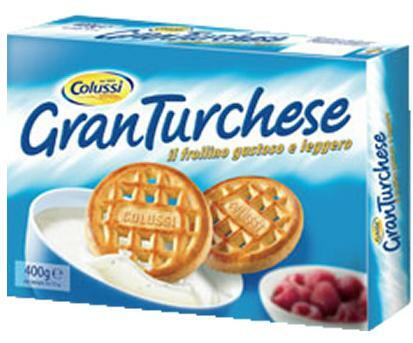 Delicious, nutritious biscuits, with no added fat. 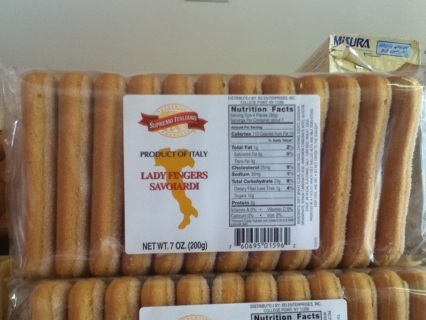 An Italian tradition. Ideal for preparing cakes. Wheat flour, sugar, whole eggs 26%, raising agents: disodium diphosphate, sodium hydrogen carbonate, ammonium hydrogen carbonate, glucose syrup , flavorings, salt. Make your children wake up to a happy day! 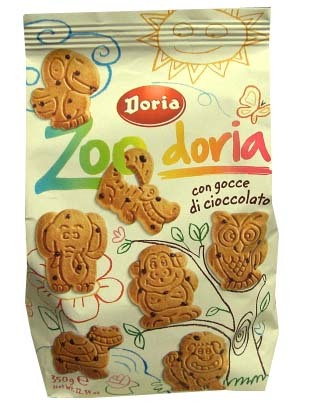 Give them ZooDoria for breakfast. Lots of funny animals, ideal for kids because enriched with calcium and vitamin D, important nutrients that provide the right energy to get through the day. Ingredients: free from additives, artificial coloring and GMOs: calcium, main component for healthy bones and teeth, and vitamin D that favors the absorption of calcium and has beneficial properties on the liver and kidneys. 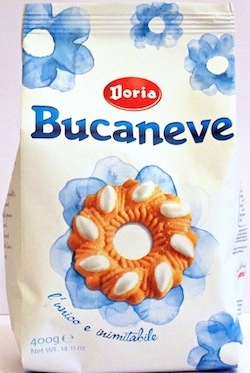 Bucaneve biscuits are made with simple and genuine ingredients: sugar, milk, eggs and flour, from highly controlled and selected raw materials to ensure top quality. Ingredients: wheat flour, sugar, vegetable oils and fats, inverted sugar syrup, eggs, wheat starch, raising agents: sodium and ammonium bicarbonate & monopotassium tartrate, salt, powdered skim milk, antioxidant: soy lecithin, powder egg white, flavorings. Ingredients: wheat flour, sugar, vegetable oil, skimmed milk powder, eggs, dextrose, baking powder: ammonium bicarbonate & sodium bicarbonate, wheat starch, salt, flavorings. Made in a production line that produces soy, almonds, nuts. 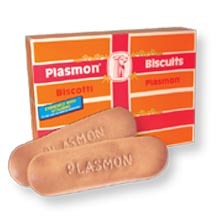 Enjoyed by children with milk or fruit juice, Plasmon Biscuits also make a great adult snack with coffee and tea. 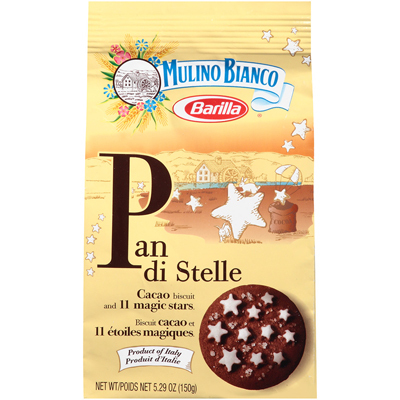 Mulino Bianco Pan di Stelle is a cacoa biscuit with 11 magic stars. Product of Italy. 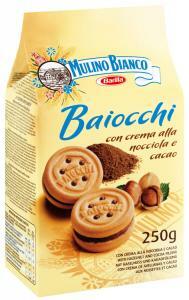 Biscuits with soft butter pastry filled with hazelnut creamy. 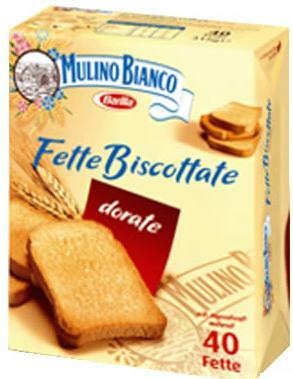 Made with natural ingredients and carefully selected, genuine and light harmonies Rusks Golden Mulino Bianco give you a balanced nutrition and accompanied with honey or jam become irresistible.